Bad Credit Car Loans & Bad Credit Auto Leasing near Windsor | Ezee Credit Leasing and Sales Inc.
At Ezee Credit, we make it easy for people with poor credit in and around Windsor, Essex and Chatham to get a great used vehicle and a bad credit auto loan or lease that they can afford. That begins with an online application that's simple, secure and quick to fill out. One of our Ezee Credit Automotive Credit Specialist will follow-up with you within one business day - or sooner. At Ezee Credit, we understand that everyone facing credit challenges is unique, so we take the time to provide a customized approach. We don't sell your application or 'shop' your credit like many bad credit car loan sites. We work with you directly, using our years of experience to carefully assess which bad credit car loan or lease makes the most sense for you. 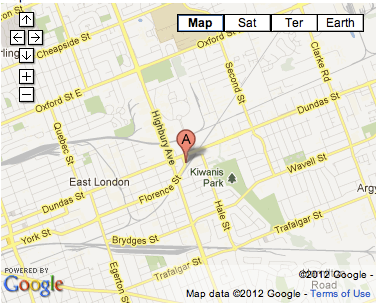 Our location in London, Ontario is only a short drive from Windsor. Some customers choose to complete much of the process remotely and come to London when they're ready to choose from our excellent selection of quality vehicles - or pick their car up. We will work with you to make the process easy and ensure you get the quality vehicle you're looking and a bad credit auto loan or lease that is right for you. Get started today with our online application. Ezee Credit is Ontario's trusted source for bad credit car loans, so you've got nothing to lose and everything to gain. I found it Fun! Their explanation of the program was clear and easy to understand. The staff were friendly, helpful and knowledgeable. They managed to get everything done fast and on time! EzeeCredit is a great place, everyone should come here and get their car/truck/van!